Today I bring to you a cover reveal for Past Imperfect a series of short stories by author Pam Lecky. You should know the name if you follow my blog as she Is the author of The Bowes Inheritance and In Three-Quarter Time both of which earned 5* ratings from me. Included in this anthology, by Irish historical fiction author, Pam Lecky, are short stories, a childhood memoir and a Victorian novelette. With settings as diverse as WW1 era Dublin, the sinking of the Luisitania, and a lonely haunted lighthouse, romance, tragedy and the supernatural await you. My thoughts.. I like it. I feel it fits Pam’s style of writing and gives the reader an easy indication of the type of story you will be reading. I’ve pre-ordered my copy and look forward to reviewing the book on my blog shortly! This entry was posted in Promos and tagged Authors, Bloggers, Book club, Book Lovers, Book Reviews, BookBlog, Books, Design, History, Reading, Reading List, Reviews, Short Stories, Writing on March 29, 2018 by Bairdy1985. Today i bring to you a guest post from author C.R. May. Cliff will talk about covers and their importance . You may remember recently i posted a review of one of his books Fire & Steel. Covers are so important to me and play a big part in deciding what books i buy. Cliff i must say has some awesome covers which definitely catch the eye and draw a reader in. I hope you find his take on covers as interesting as i have. Without further ado..take it away Cliff. This is a tale (cautionary if you are a new or aspiring author) about the very first thing which draws us to a book which is, of course, the cover. As a first-time author I looked forward to the cover design part of the writing process; it must be easier than writing a novel, right? If only that were true. The simple fact is that if you are an independently published author the whole shebang, research, planning, writing, re-writing, editing, cover design, promotion etc, is entirely in your hands. Of course there are a myriad number of professionals out there willing to help you out for a fee, but it is a truism of writing today that the cottage industry of editors, proofreaders, and cover designers which has grown to satisfy this demand often make far more money from the business than the people who write the books themselves. A professionally produced cover can easily cost four figures. What if, like the vast majority of self published books, your surefire bestseller actually sank like a stone? Amazon alone publish thousands of new titles each and every day and even at a very reasonable £1.99 a go, the author actually receives not much more than £1 per download. For a physical copy the profit margins can be even worse. The production costs for a print-on-demand publisher like Amazon’s Createspace will produce an average sized paperback containing around 100,000 words for about £8. If the author adds just £1 to that for their own profit he or she will still be priced out of the market by the big boys. I once saw Tesco selling Ben Kane’s latest hardback bundled with his previous volume for £6. Paperbacks in the big supermarkets are typically £3, or two for £5. So it can be tough out there, your cover has to grab a potential reader’s attention straight away. Let’s see how my own cover developed over time using my very first book, Sorrow Hill, as an example. The story starts off with young Beowulf poaching two eagle chicks from the nest so, after spending days groaning over jokey or just plain ridiculous ‘Viking’ pictures on photo sites such as Shutterstock, Getty Images etc I gave up with that angle. Anglo-Saxon was even worse, pictures of Big Ben, red post boxes or Union Jack knickers seemed to be about all that they had to represent one of the most advanced cultures in early medieval Europe. Beowulf? Angelina Jolie of course. So back to the eagles it had to be. This is my first design from back in 2013. A nice image, monochrome to be ‘different’ – (before I discovered that most readers don’t do ‘different’). If they are interested in Roman literature they expect to see a Centurion or legionary standard on the cover; Dark Ages, longship/swordsman. Even before book two had appeared I decided that if I wanted affordable originality, I would have to make my own. Not convinced? No, neither was I, so back to the eagle it went, this time using an image which I had taken at Battery Park in New York City with my trusty Canon IXUS. The Sword of Woden trilogy, being the early life story of the legendary figure Beowulf, necessarily contained a few supernatural elements. One of the minor characters who appeared in books one and three, the Angle, Eofer, is now the subject of my latest series, King’s Bane, which tells the story of the Anglian migration from present day Jutland to the lands which would in time become England. By using the same cover designer for both series of books and writing a novella, Dayraven, to link the two storylines, I have left the myth and legend element of the Beowulf tale behind and grounded the events more firmly within the history of early sixth Century Europe. Utilising the same designer for the Sword of Woden and King’s Bane series’ means that I can finally obtain the homogenous look which I have strived for over the past few years, while injecting a greater degree of action into the cover images. Here is the cover for the first book of the King’s Bane series, Fire & Steel to illustrate the point. I think that we all agree that it is an unfortunate part of book buying that a book really is judged initially by its cover. However good an author’s work, he or she has not much more than a second for their thumbnail sized image to spark an interest in the potential reader from among dozens of others. Even though the book has been available and selling steadily for three years now, the new cover for Sorrow Hill has led to a spike in sales and increased traffic to my website. Every one of the various stages which a novel undergoes from the initial idea in the author’s mind to completed book is important, but the cover art really is vital to its success. Similarly, the addition of good quality maps can really help to lift your book above the competition, especially in these days of ‘look inside’ features on e-book websites. My first books had no maps at all, and several readers were good enough to contact me via the link on my website to suggest that they would really help to understand the storyline. As my books are all set in the ancient past, most of the names used are either in their archaic form, Hroar’s Kilde for present day Roskilde for example, or even based on educated guesswork as in Sleyswic for present day Schleswig. My first maps were similar efforts to the cover designs which I made at the same time, best described as helpful rather than artwork. This is an example of my first maps, in this case the map which accompanied the concluding volume of my Brennus series, Nemesis. All of my books now contain maps of this quality, hand drawn by the same artist Simon Walpole who will also draw the maps in my future books. This will help lend a feeling of continuity and familiarity, reenforcing the effect of the similar cover designs. Covers and, thanks to the ability to look inside or even download samples of ebooks in moments, maps, really do give a book the best chance of success and are an essential investment for any novelist. 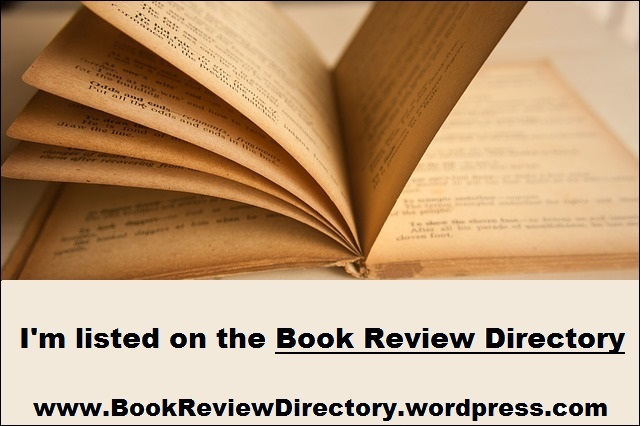 This entry was posted in Guest Posts, Guest Posts - Authors and tagged Authors, Book club, Book Lovers, Book Reviews, BookBlog, Books, C.R. May, Covers, Design, Ebooks, Historical Fiction, Kindle on April 5, 2016 by Bairdy1985.